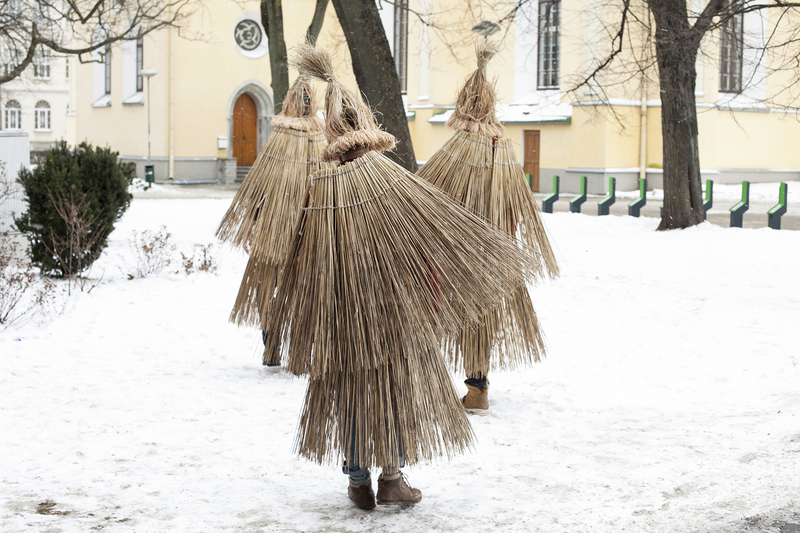 New Year’s Boy examines the constructed nature of folk culture, focusing on a marginal tradition that has long since subsided from the collective memory of Estonians. 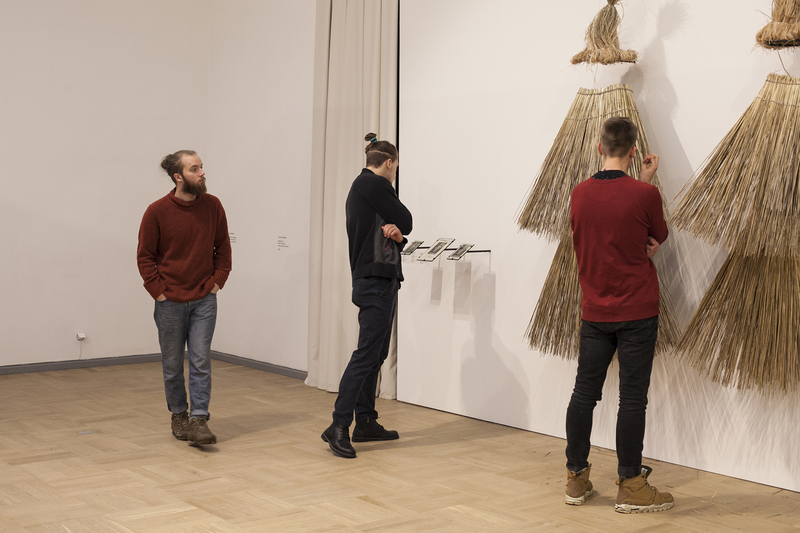 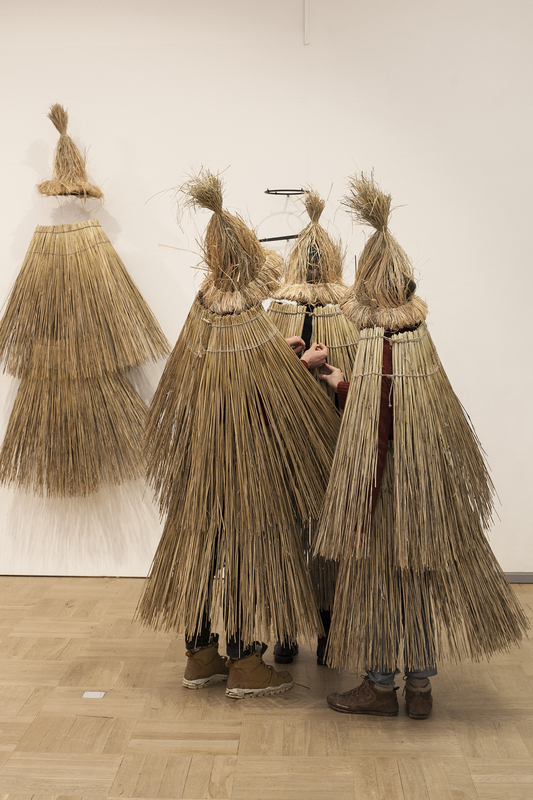 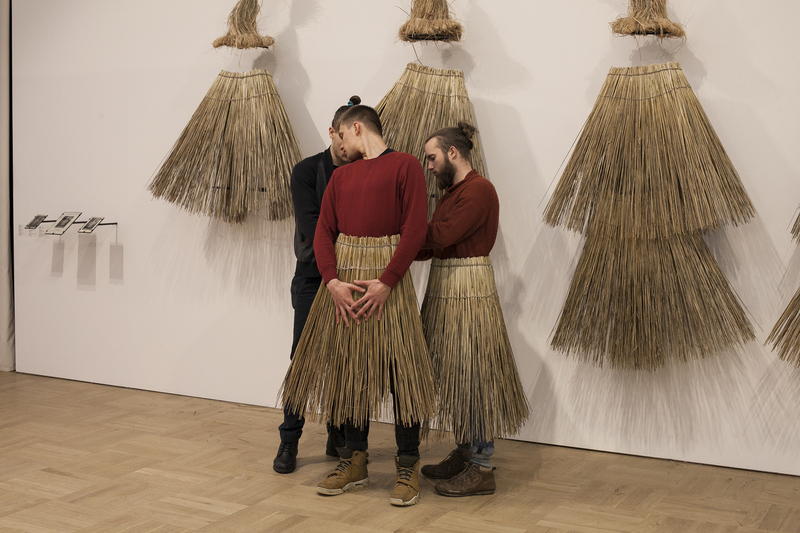 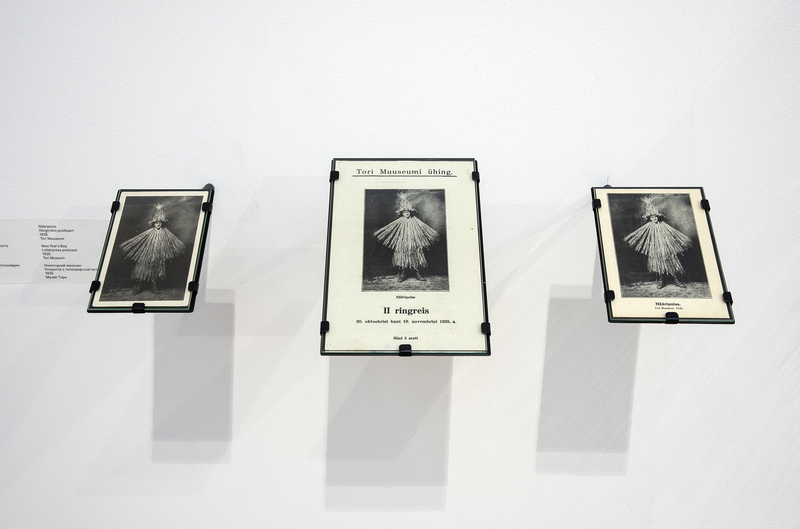 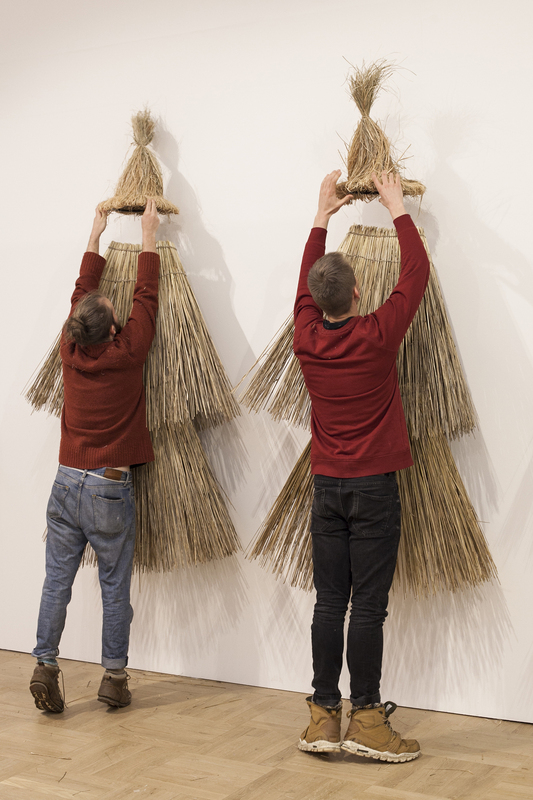 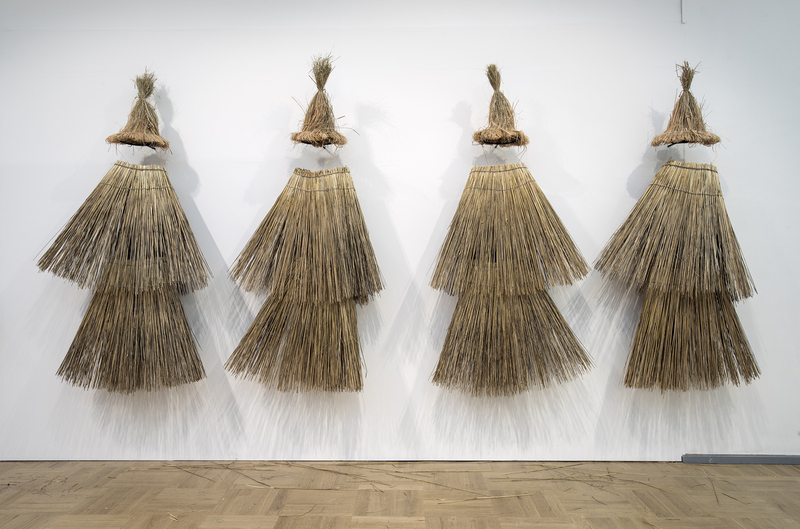 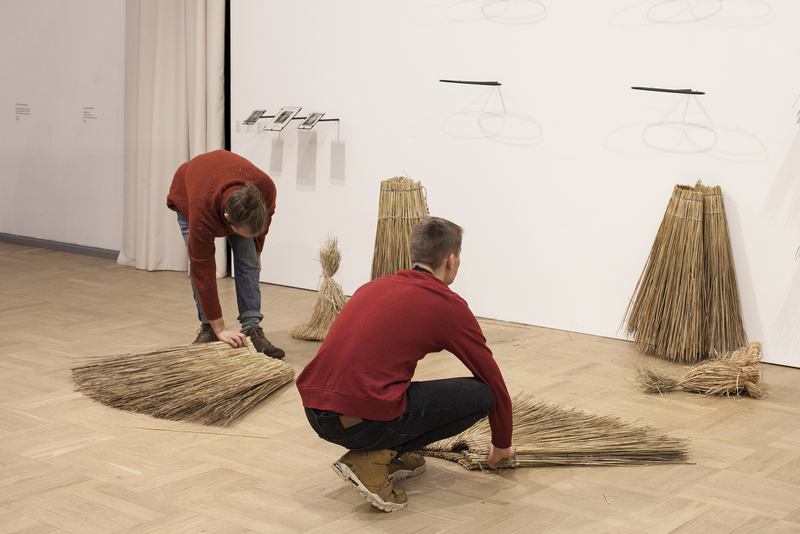 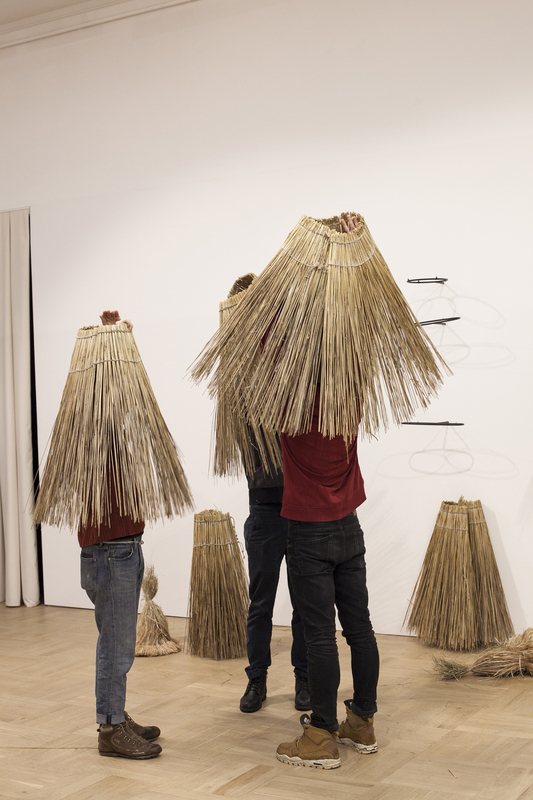 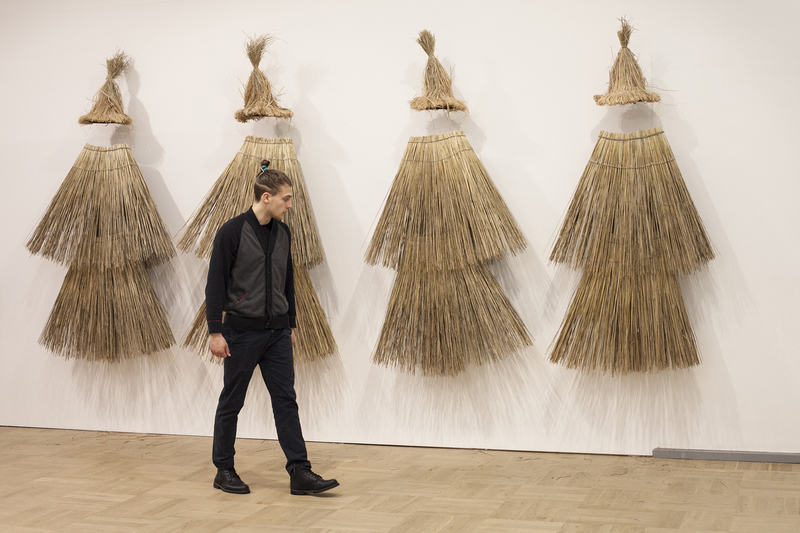 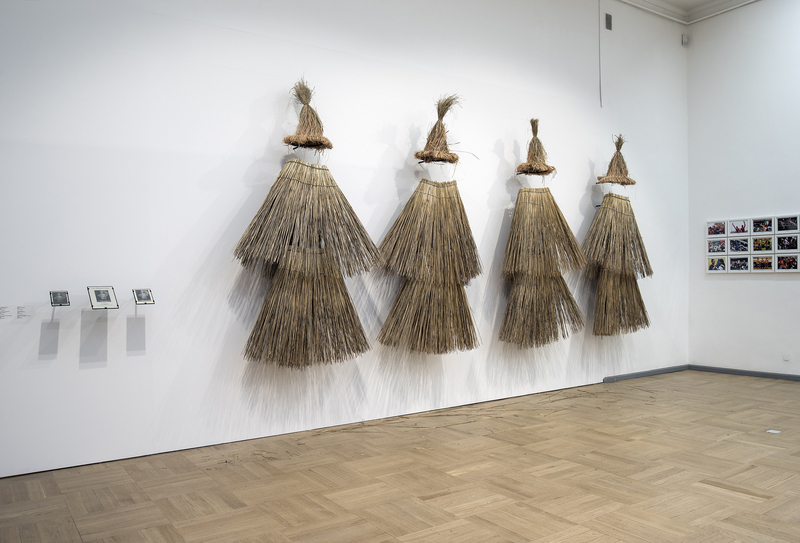 New Year’s Boy, which includes a performance choreographed by Siim Tõniste, is inspired by a photograph of a young man wearing a straw costume taken in 1935 at the atelier of the brothers Parikas. 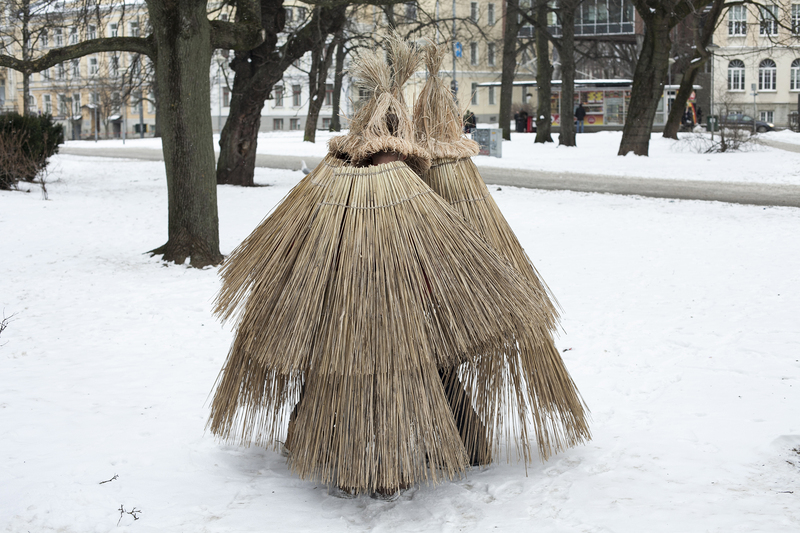 It belongs to a series of staged ethnographic photographs that were commissioned by August Pulst, a folk culture activist of the interwar period, and sold as postcards to raise money for the Tori Museum, a small county museum he had established in 1934 for the preservation of Estonian national heritage.